Two are commonly cultivated for ornament, Forsythia × intermedia and Forsythia suspensa. They are both spring flowering shrubs, with yellow flowers. They are grown and prized for being tough, reliable garden plants. 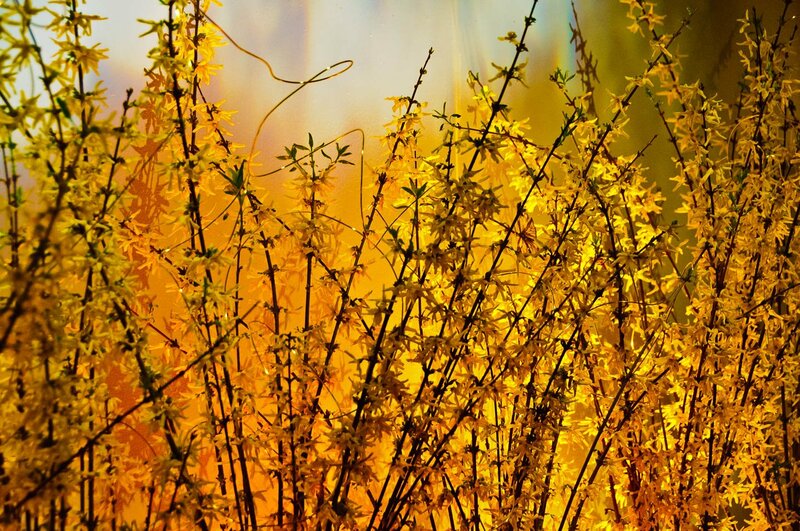 … Forsythia is frequently forced indoors in the early spring. Nice work. I love the colors.